This March, we are celebrating the women of DASH — what moves us, what drives us, what inspires us. It is this that fuels our work to ensure that no woman has to choose between staying in an abusive relationship and becoming homeless. DASH is an organization founded by women, run by women, to keep survivors safe. We are the only domestic violence housing program in DC that welcomes all survivors – regardless of gender identity, however, 95% of survivors in our programs identify as women. As a safe housing organization, our Building Monitors do invaluable work ensuring that our Cornerstone residence is secure. Their constant vigilance can go unnoticed, but it is their attentiveness that keeps every survivor feeling safe at Cornerstone. This week, we are featuring our Building Monitor, Linda! 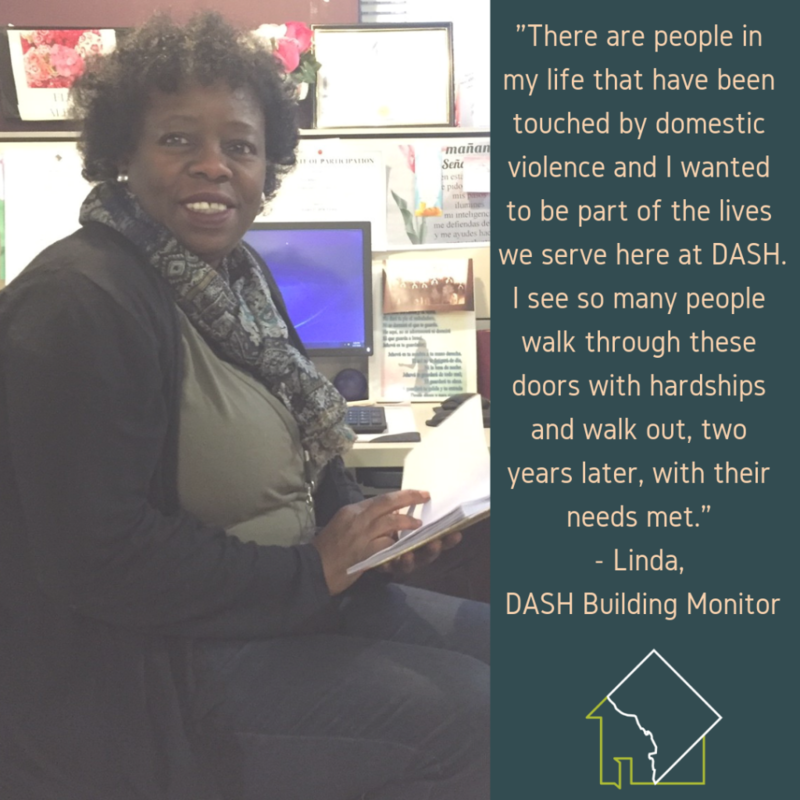 Linda has worked at DASH since 2017. Jessy, our Development & Volunteer Coordinator, sat down with Linda to hear stories about Linda’s experience at DASH and what she values about this work. Let’s celebrate together this month of March!